This Chinese of See Him With New Eyes--Gua Mu Xiang Kan is 刮目相看, and Pin Yin guā mù xiāng kàn. This Chinese of The Boy Called Meng in Wu--Wu Xia A Meng is 吴下阿蒙, and Pin Yin wú xià ā méng. 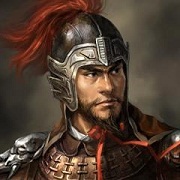 During the Three Kingdoms period of China, there was an outstanding officer named Lu Meng in the kingdom of Wu, who was renowned for commanding the invasion of Jing Province that led to the death of Guan Yu (关公). When he was young, Lu Meng did not like reading, and spent most of time on practicing martial skills. After being a general, he still refuse to read under the pretent that military matters take away his time. As a result, he was known as a mere military man by his colleagues. Having known this, Sun Quan, the ruler of Wu, said to Lu Meng: " As a general, you have to constantly enrich your knowledge. You often say you are too busy to read, but comparing to you, I have much more matters to habdle, even so, I have the time to read and enhance myself. Moverover, you are not required to study as hard as scholars. All you have to do is to read roughly and span the gap in your knowledge. " Lu Meng was enlightened, and from then on, started to take up scholarly pursuits. Soon his knowledge became so broad that even some elder Confucians could not match him. Later, when Lu Su, the commander-in-chief of Wu's military forces, came to discuss military affairs with Lu Meng, he was greatly surprised by the huge improvements that Lu Meng had made. So he commented:" I thought you were a man who knew nothing but fighting in the battlefield, but now I see you are both knowledgeable and wise. I have to say you are no longer the 'Wu Xia A Meng (the boy called Meng in Wu, A plus one character of someone's name was often used as a nickname by his parents or older friends)' ." To this, Lu Meng replied, "For a man of ambition, if you have not met him for three days, you should see him with new eyes. Brother, you know it so late. " This Chinese idiom story is from "The Records of Three Kingdoms (三国志)". The idiom of See Him With New Eyes--Gua Mu Xiang Kan is used to praise someone who has made great improvements in some field. 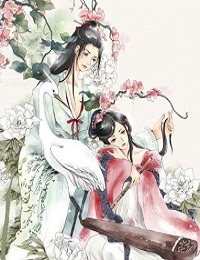 The idiom of The Boy Called Meng in Wu--Wu Xia A Meng has the same meaning as "See Him With New Eyes--Gua Mu Xiang Kan".